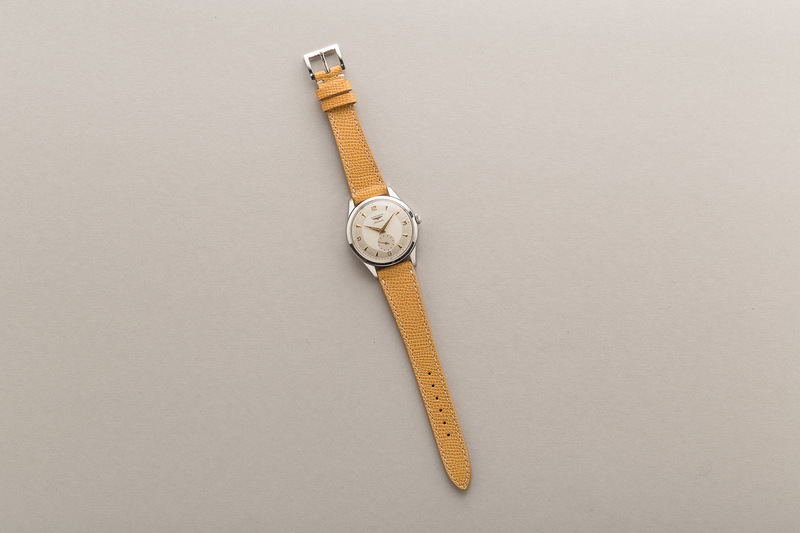 Overall, the watch is in excellent condition. 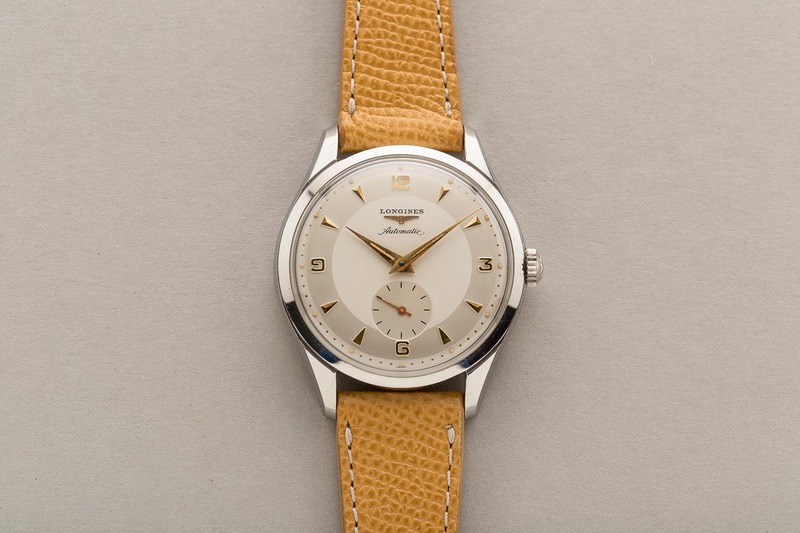 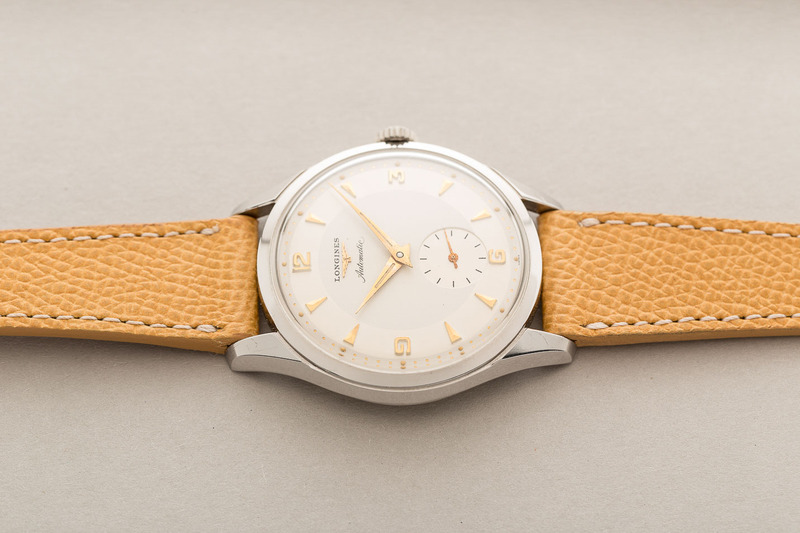 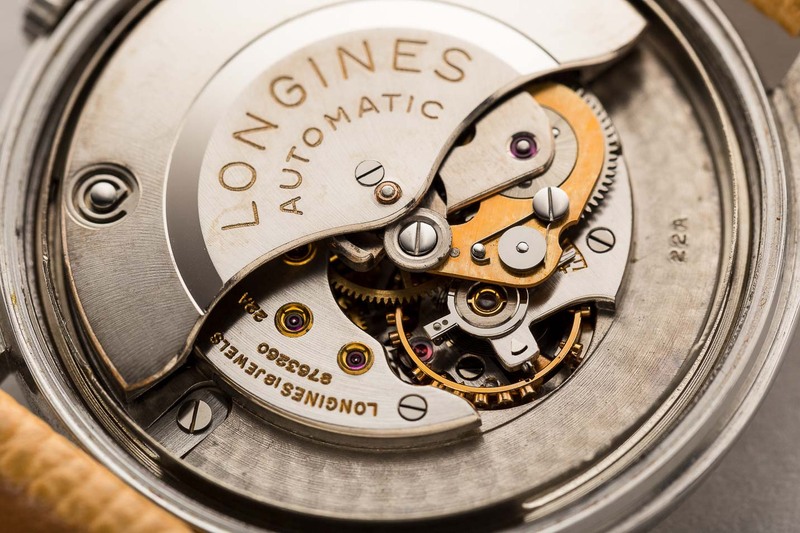 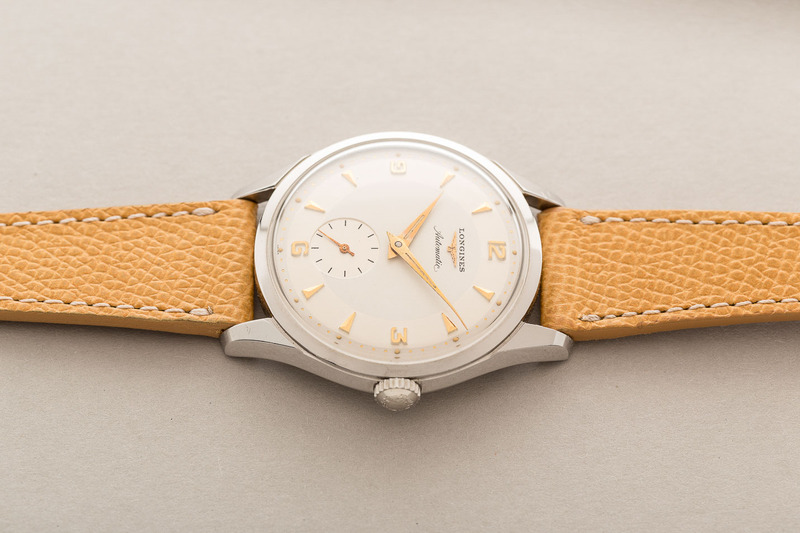 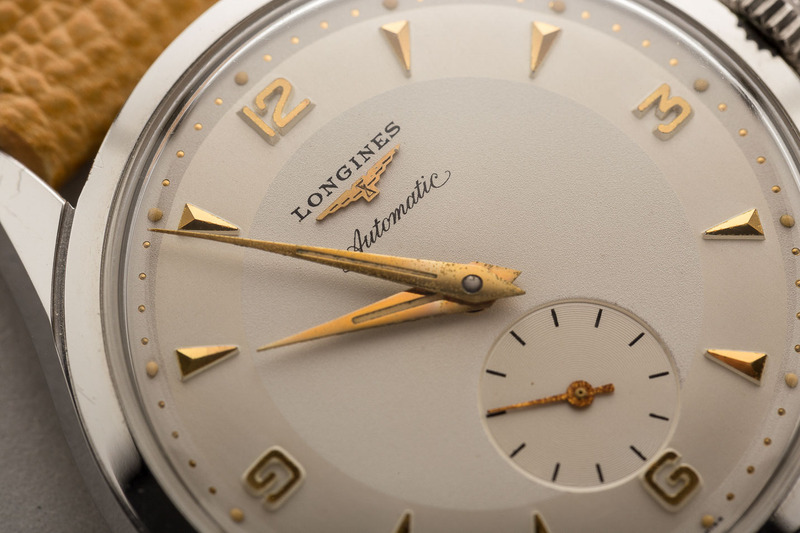 The dial is excellent condition, showing absolutely no blemishes or flaws – highly rare for a Longines from the 50s. 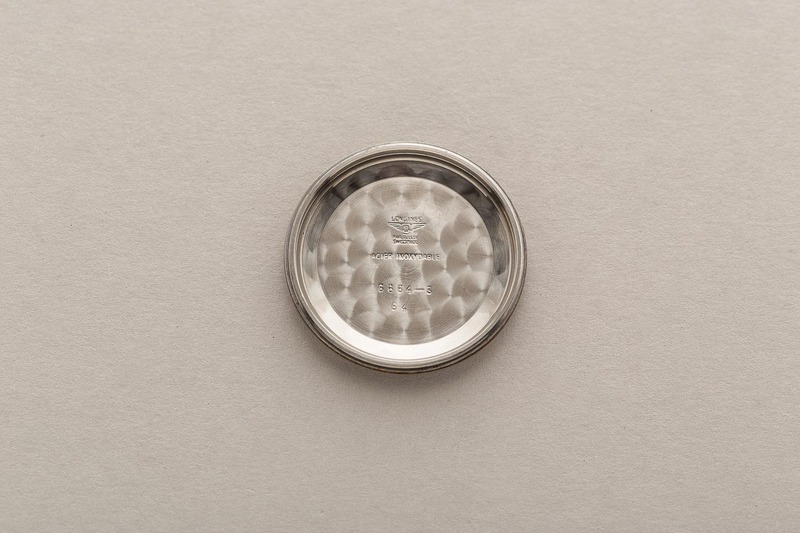 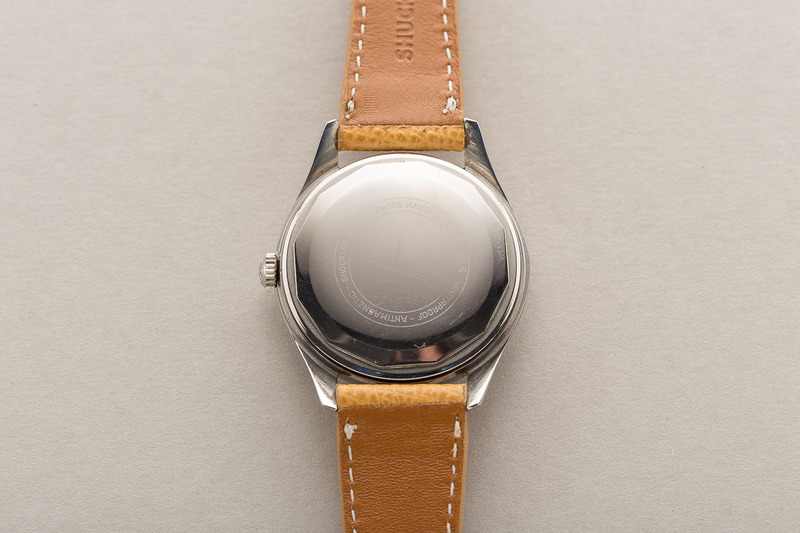 The watch case is unpolished. 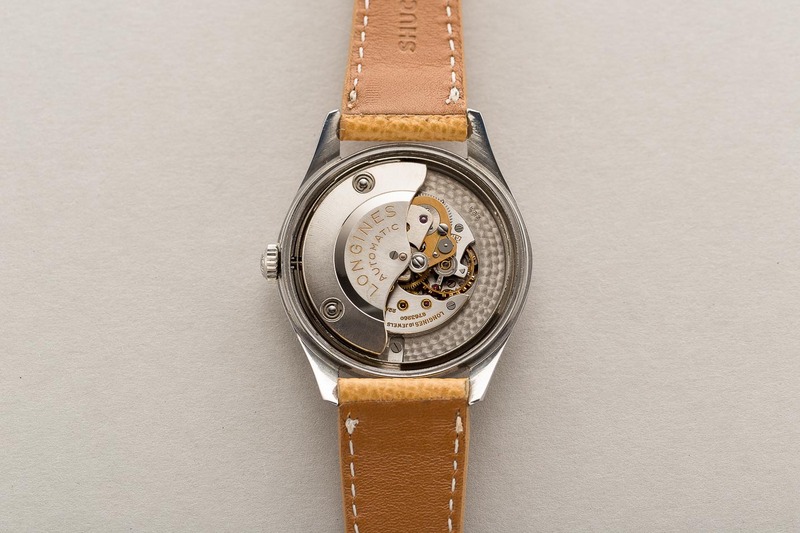 The movement is in very good working order, keeping accurate time.